Game developer Double Fine recently announced that the remastered edition of Day of the Tentacle would be released on March 22, on PC, PS4 and PS Vita. This release adds to the growing list of remasters we have seen of late, including Capcom’s Resident Evil Zero HD and Nintendo’s remaster of their classic Twilight Princess game. Double Fine’s Day of the Tentacle Remastered is an updated version of the classic adventure game, one that featured some of the most mind-bending puzzles ever since in the genre. Originally released in 1993, this game directed by industry veteran Tim Schafer starred the nerdy Bernard, the absent-minded Laverne and roadie Hoagie in an attempt to stop a mutated purple tentacle from taking over the world. It also involved time-travel and featured some pretty convoluted puzzles, but is considered a classic of the adventure genre and one of the best games of the 90’s. Despite Day of the Tentacle’s classic status though, how much of a point there is to putting out remastered editions of games is a matter of debate. 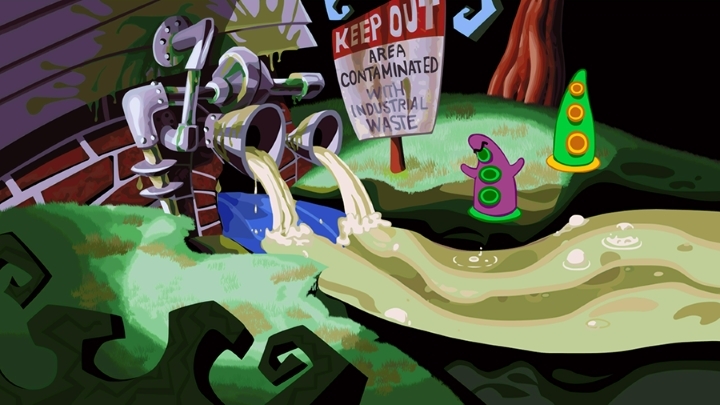 But given that remastering old video games does not take much of an effort, it is clear that putting out an updated edition of a game like Day of the Tentacle surely is a quick road to profits for the developer. After all, retouching the game’s graphics to bring them up to modern standards is not that big of a deal for the studio, which can be sure that the game’s popularity and classic status will lead to decent sales. 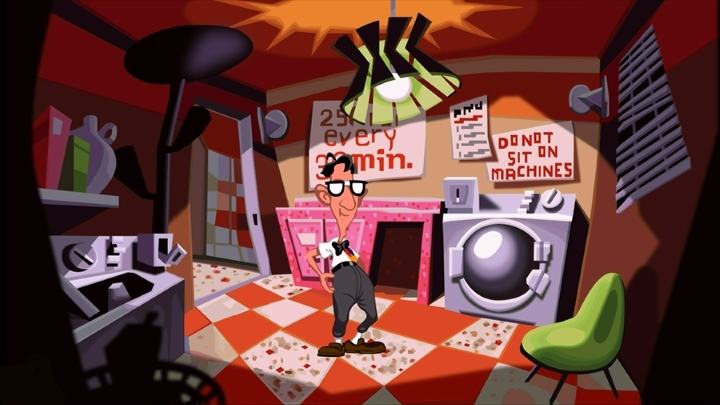 Lateral thinking was required to solve Day of the Tentacle’s puzzles… Now where did I leave that hamster? So it is likely that fans of Day of the Tentacle, those that remember playing this classic title in their teenage years (or earlier) are likely to pick up a copy, no matter how good this remastered edition turns out to be. Although the fact that we are seeing so many remasters of late is rather worrying, as the lack of innovation and original ideas in the video game industry is definitely not good for gaming. And while jaded gamers might complain about the lack of innovation in annual series like Assassin’s Creed (which is actually taking a break this year) or Call of Duty, it can be argued that remasters are actually worse than sequels. After all, a remastered edition of a game might only offer improved controls and prettier visuals, so it’s a good thing that some developers are skipping the remaster route when updating old games. For instance, the upcoming Final Fantasy VII will be a remake instead of a remaster, which will be released in an episodic format featuring new animations and plot elements. Although having a remastered edition of a classic game is a great way for a new generation of players to enjoy a great adventure like Day of the Tentacle, because getting the original game (which was released over 20 years ago) running on modern PCs is a daunting task to say the least, and also it is great that this game can reach console audiences via Sony’s PlayStation Store. In the end though, as long as this Day of the Tentacle remaster does the original justice and offers a few nifty extras to make the purchase worthwhile, then video game veterans and newcomers alike will surely have a blast playing this classic LucasArts adventure game. Note: Day of the Tentacle Remastered will be released on March 22, 2016. Available on PC, PS4 and PS Vita.